Adobe has released Lightroom version 5, and it includes some killer new features that make it worth upgrading. If you own my Lightroom Made Easy online course, I have already updated it with four new videos covering the four biggest new features (described below). Simply log in to your course on my training website, and you’ll find the new LR5 videos waiting for you. For those of you trying to decide whether to upgrade to Lightroom 5, here’s a quick look at the key new features. This feature alone is worth the upgrade in my opinion. Similar to the healing brush in Photoshop, this features takes Lightroom one step closer to being a complete Photo-editing solution, and it removes about 80% of the trips that I used to make to Photoshop for minor cloning and healing work. Now you can remove objects or people from scenes, easily repair blemishes, or make other “patch” adjustments that were formerly too complex for Lightroom’s simple circular Spot Removal tool. Irregular shapes are now no problem. 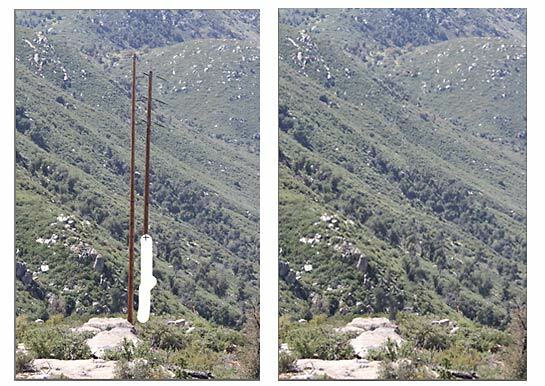 In the sample here I removed two poles from a landscape simply by drawing a line over each one with the Advanced Healing Brush. Lightroom did the rest. Seamless fix. This long-overdue feature is basically a circular version of the Graduated Filter tool that you know I love so much in Lightroom. Now you can make off-center vignettes or other circular or elliptical highlights in a photo. Great for bringing a subtle spotlight to an area that you want to draw attention to (or darkening an area you want to tone down). 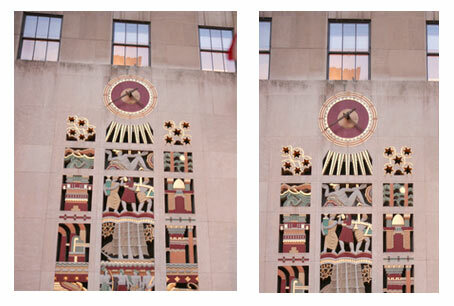 In the new Upright feature, Lightroom 5 has automated what was formerly a manual process of perspective correction. Now, simple, one-click buttons allow you to instantly straighten a horizon or make horizontal and vertical perspective corrections to off-kilter photos. If you shoot architecture, this one is worth the upgrade price 10 times over. 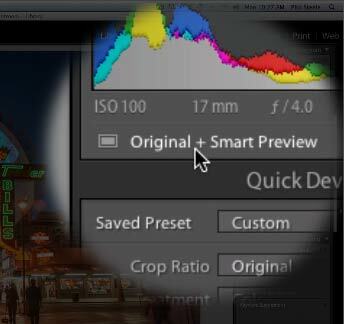 Smart Previews are Adobe’s attempt to make it easier to travel with Lightroom. Now you can edit photos that you don’t have with you by creating “Smart Previews” before you hit the road. These previews allow you to edit photos and even export small finished versions suitable for web sharing — even when you don’t have your original RAW files with you. That means you can leave the big external drive at home, or avoid carrying your massive RAW files on your travel computer. (I’ll talk more about traveling with Lightroom in a free video coming soon. Stay tuned for that). 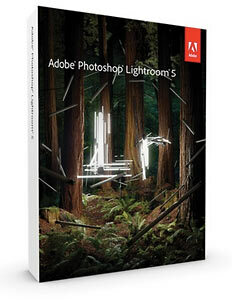 If you don’t have my Lightroom Made Easy course yet, you can get it here, including the new Lightroom 5 videos. Thank you for the information. Funny thing is that I just purchased last month LR4. I did not realize that LR5 was that close to be released. I guess I will upgrade. I’m working your Lightroom course now. Thank you for adding the version 5 material to our class. What I have learned from the your courses has already advanced my craft as evidenced by the comments I am receiving. As well as what I see myself. Thank you for rekindling the fire. Phil: Your valued opinion please.. I have LR3 installed and purchased LR4 but have not installed that upgrade yet. If you were me would you purchase full version of LR5 or just the upgrade, as only LR 3 is installed on my Mac desktop currently? Herb, I don’t know if LR will let you upgrade from 3 to 5, or if you’ll have to install your LR4 as an interim step. You’ll have to check with the technical specs on the Adobe site and see if you can find an answer to that. I does appear that you can at least purchase the upgrade as an upgrade from LR3, so I assume (hope!) they made it technically possible to go directly from 3 to 5. To upgrade to LR 4 or LR5 might require an OS change. LR 4 only operates with a 64 bit OS X version and LR 5 requires Mt Lion OS X.
I upgraded from LR1 to LR4 by just entering the serial number of my older copy of Lightroom. Therefore I belive that Herb should be able to upgrade to LR5 from LR3 if he has upgraded his OS to 10.8.3. Thanks so much for the advice, Phil. I was wondering whether it would be worth the money to upgrade, you’ve helped me make my mind up. I am having difficulty buying LR5. I have LR4 and have the LR% Beta, but want to buy, not “Try” LR5. Maybe LR’s website is overwhelmed with requests. Not sure. Is anyone else experiencing the same situation? Have subscribed to your course and very much look forward to using your vids when I get the time. Think I’ll hop straight in and buy LR5. I have been a serious amateur photographer for nearly 35 years. Bought books, gone to seminars, looked at TONS of stuff online. Your materials (free and purchased) are, hands down, the most helpful, the most reasonably priced and the most amateur-friendly I have ever seen! I welcome both free and purchasable materials…keep at it! Mart, thanks for the kind words! Comments like that keep me inspired! Phil-well it’s be a hard try and thanks for your help all seems to be going well. I have Windows 8 on my home based computer and am taking a trip and will be using my laptop which is XP. Can I download to that computer and when I return home move that info from my XP machine to Lightroom? 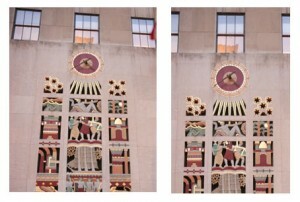 Bob, Newer versions of Lightroom don’t run on XP, but if you have LR3 or earlier on both machines I think it may work. Phil, I have LR4 and the latest Aperture.. I am adult A D D.. so simple is important to me… need to manage my photos better and easier. I also have CS5 and on & one, topaz plug ins..
My thoughts for easy of managing, was to use Aperture and than plug in and last resort CS5 or buy CS6… I also find Camera raw easy. Once I start I cannot go back and fourth. Should I upgrade to LR5 and start there or use Aperture…. Jerry, I haven’t used Aperture so can’t comment on it. But if you like Camera Raw, it’s almost identical to the Develop module of Lightroom, so you have a head start there. 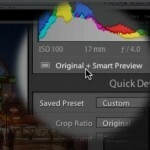 And Lightroom integrates with your Photoshop too. I vote for LR. Hi Phil … Have recently upgraded from Lightroom 3 to Lightroom 5 and just want to say a huge thank you for your brilliant, informative and easy-to-follow LR video tutorials. The LR 3 ones were so helpful to me when I was starting out with LR and I’m so pleased to discover that you have now added tutorials to cover LRs 4 & 5. Rest assured I will be studying them very closely! Again, thank you so much for sharing your knowledge and expertise with us … you are an awesome teacher!